HomeFeaturesHave Your SayHave your say: Should Super League clubs be allowed to gain dispensation? Have your say: Should Super League clubs be allowed to gain dispensation? 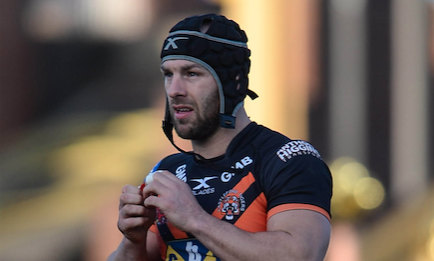 Castleford were granted a dispensation on Luke Gale last week, and we want to know whether or not you think they should be allowed. It was announced just over a week ago that Luke Gale would miss most – if not all – of the season after rupturing his Achilles tendon in training. As a result, the Rugby Football League allowed Castleford dispensation to exclude Gale from this year’s salary cap, so they could bring in a replacement. The replacement they brought in was Jordan Rankin from Huddersfield Giants, who can play at half-back or full-back primarily. Centre or back-rower Joe Wardle return to Huddersfield as part of the swap deal. Even though Rankin has effectively been signed to replace Gale for this season, the swap deal was under the existing cap, meaning Castleford can still use the exemption. Rankin is expected to start the new season in the halves alongside Jake Trueman for Castleford, with Peter Mata’utia at full-back. Ben Roberts, Jamie Ellis and Cory Aston are expected to be back-up options. Prior to Castleford signing Rankin, Tigers’ director of rugby Jon Wells had backed the club’s squad depth to fill the void left by Gale. If Gale makes a quicker-than-expected recovery, Castleford will need permission from the RFL to play him this year. The dispensation rule is nothing new in Super League though. In 2016, Warrington Wolves forward Ben Harrison was initially ruled out for the entire season with a shoulder re-construction. However, he recovered earlier than expected but the Wolves were denied to play him and he joined Wakefield Trinity on loan on the back of that. Some fans think that gaining dispensations are fine, as long as there is proof that the player in question is definitely injured for at least six months. But other supporters believe that clubs should have a squad big enough to accommodate injuries, should they occur.